During the acquisition of personality intelligence, which occurs when you meet new people, when you join a new group of people, you’ve no doubt determined that some people are focused solely on performance. Whereas some people are more concerned about people or maybe, you’ve identified a limited few who are solely passionate about process. 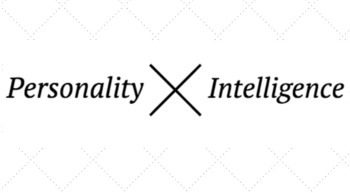 Personality Intelligence helps you navigate the complexity of people – discovering what drives them, what motivates them, and hopefully, why they do, what they do. When we have this data, we can then change our communication style to speak their language. This is what effective leaders do. Being positive isn’t difficult. It’s no more challenging than be negative. There are so many people in life who we wish would be more positive! Yep, it’s a mental mind shift, and it is possible. Who do you know who is always running late? Running late for dinner, running late for a meeting and running late on life? Punctuality is important for many people and I like to view this from both sides. For those who are punctual, it’s great to start the meeting on time rather than wait for those who are late. I know, there are excuses/reasons, but unless you deal with those problems, they’ll keep reoccurring. If you are continually running late, you are probably annoying many people in your life. What does this say about respect and trust and your relationships? I have worked with a few people who have changed the time of meetings e.g. ten past the hour, to allow people to move between meetings – genius! Punctuality problems is a big clue that there is something amiss in a person’s life – a little bit of coaching can help these people. Possibility is a door opener. Asking your team, “what’s the possibility of making this more effective?” “What are the possible options to consider?” Oh, it’s a great leadership word. Open minds, open thoughts and considerations. Finally, presence. I talk about presence in The Female Factor program. Presence is about posture, confidence and influencing how you’re perceived. It’s an all encompassing ‘word’ to encourage you to have presence in your leadership. I hope you’re enjoying this game, The Language of Leadership. It’s your turn now. What’s your contribution? Your P words in leadership.